If you have ever played a competitive sport, you have probably been exhorted to give 100 percent. Or, as the sports cliché would have it, “110 percent.” And the attitude embodied in that exhortation extends well beyond the arena of athletics. Whether the field of activity be business or law, selling cars or playing tennis, giving 100 percent of one’s effort and energy is widely regarded as a virtue, if not a moral imperative. In Tai Chi, the “70-percent rule” applies to every dimension of the practice, including the force behind your movements, the extension of your turns, twists, and stretches, and the length of your practice session. For example, in the move Carrying Tiger to Mountain, the practitioner repeatedly bends down on the right knee while advancing forward and moving the arms and hands in a spiraling motion. At the beginning, if you are capable of bending all the way to the floor, you bend no further than 70 percent. By so doing, you can give your full attention to developing the move, unhindered by fear or resistance. Later on, as your strength and flexibility increase, you can bend all the way. Likewise, if you are capable of doing forty minutes of vigorous Tai Chi, you practice for thirty, lengthening your sessions as your stamina increases. As a longtime practitioner of Guang Ping Yang Tai Chi, I can attest to the efficacy of the “70-percent rule,” not only in the practice of Tai Chi but also in daily life. With respect to Tai Chi practice, observance of the rule has enabled me to relax, pay closer attention to detail, and execute the form with greater fluidity. Beyond that, the rule has helped me to perform, without strain, such routine domestic chores as scraping an ice-glazed windshield or lifting a forty-pound bag or hauling a loaded trashcan to the curb. And, not least, I have found the rule applicable to mental as well as physical effort, particularly the practice of Zen. When many of us detect a problem, we want to fix it. And for some of us that means fastening on the problem and examining it from all sides, as a dog might worry a bone. By remaining mindful of the 70-percent rule, we can learn to step back from obsessive problem-solving, allowing conditions and causes to reveal themselves and solutions to arise of their own accord. By releasing ourselves from doing, we can leave more time for being, which is to say, for steady contemplation or patient inquiry rather than grasping for immediate solutions. And we can open a space in which intuitive perception, in tandem with rational analysis, plays a role in the process of understanding. In similar fashion, if we practice Zen meditation, the 70-percent rule can protect us from excessive concentration on any one component of the practice—breath, posture, the particulars of form—or, in a more general way, on meditation itself. When newcomers first experience the benefits of sitting, they sometimes behave like recent converts, believing that meditation can “do it all.” If their practice happens to be Zen, they may sit for fifty minutes at a time and up to twelve hours in a day. For some, such striving is a requisite for full awakening, and if the practitioner is young and healthy enough, he or she may be able to sustain it for a time. But for older practitioners, an uncritical embracing of the harsher aspects of Zen training can be destructive of health and well-being. “Just as we should not idealize Zen masters,” writes the Zen teacher Grace Schireson, “we should not idealize monastic training as a perfect lifestyle for all ages. Medical research suggests that getting enough sleep and a diet appropriate to one’s personal needs is important for sustaining health.”*** In essence a principle of moderation, the 70-percent rule can remind us to temper our enthusiasm with critical thought and our commitment to the practice with realistic expectations. 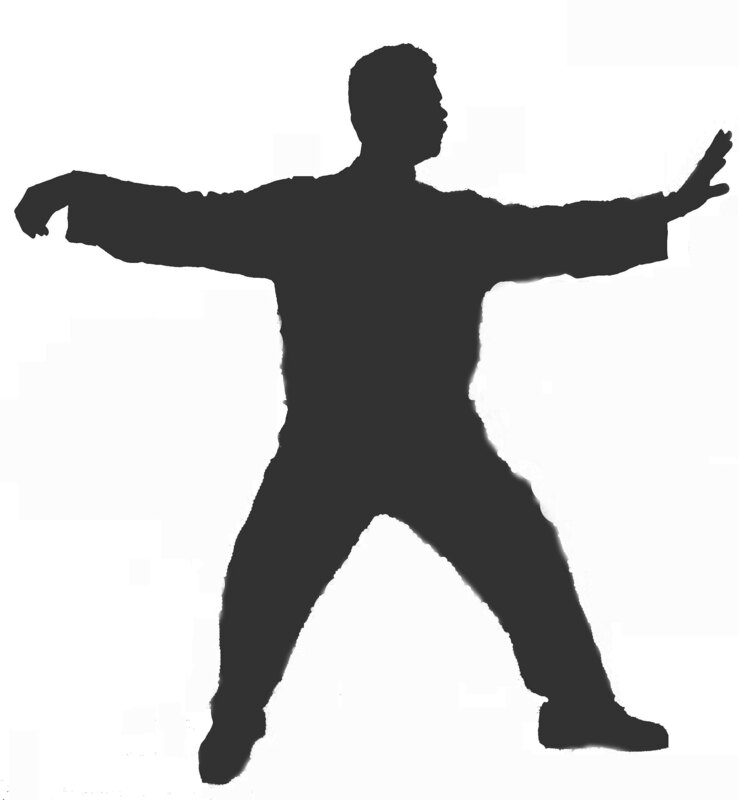 Tai Chi is not a science, and its foundational rule is not a rigid absolute. It is a flexible guideline, which like the practice of Zen must be adjusted to suit one’s age, health, and relative fitness. But as Bruce Frantzis observes, the 70-percent rule, intelligently applied, can prevent people from “becoming heroes at the expense of their bodies.”**** Please bear it in mind on these winter mornings, especially when shoveling snow. * Bruce Frantzis, The Big Book of Tai Chi (Thorsons, 2003), 36. *** Grace Schireson, Zen Women (Wisdom, 2009), 250. ****Bruce Frantzis, Opening the Energy Gates of Your Body (North Atlantic Books, 1993), 85. So profoundly true! In performing as an athlete, I was always coached to push harder. I fought my way to the top of my sport and battled for six years in the NFL. I carried that combative and hostile attitude into my post athletic occupations. Decades later as my spirit and body began to rebel against the constant stresses of always having to outdo myself and others I turned to yoga to seek relief. I was stiff and brittle in my physical, emotional and mental bodies. As I approached the practice with my adopted conquering attitude, my teacher pulled me aside and gently coached me through non-violent practice as applied to ones’ self. I was able to hear what he meant. I began working next to discomfort rather than pushing through it. I noticed that discomfort held a lot of very important information that i had been suppressing or ignoring. What a relief it was to find a friend and ally where before there had been a perceived limitation! The entire world quickly became much more spacious and less hostile. As my inner world relaxed and expanded and regained it’s natural balance the outer world began to reflect that friendliness and compassion. The limitations began to soften and dissolve. Things still got done, and done well. To my utter amazement I found I had more time for everything. And, most importantly, I was reunited with my natural happiness. The world shifted. Markus – Many thanks for your eloquent reflections and your inspiring story. People have sometimes used yoga as yet another vehicle for the competitive spirit, but it’s clear that you’ve allowed the practice to transform your energies into something more constructive, both for yourself and others. One of the greater challenges, it seems to me, is recognizing the subtler forms of violence, especially those which are directed toward oneself. Wow, fantastic essay — one of the few posts I will read today that will effect me. I love when an insight of one area leaks over into other areas of our life. All that makes sense, of course. Biologist E.O. Wilson coined that “Conscilience” (he wrote a short book on it too). And conscience is a rush when many areas of our live resonate together. Thank you. I will remember the 70% principle though I will never practice Tai Qi but instead, let it penetrate my spheres of action and inaction. I’m reflagging this post from Ben Howard’s One Time, One Meeting blog about the practice of Zen. Read Markus Koch’s comment below about learning yoga and changing his attitude.